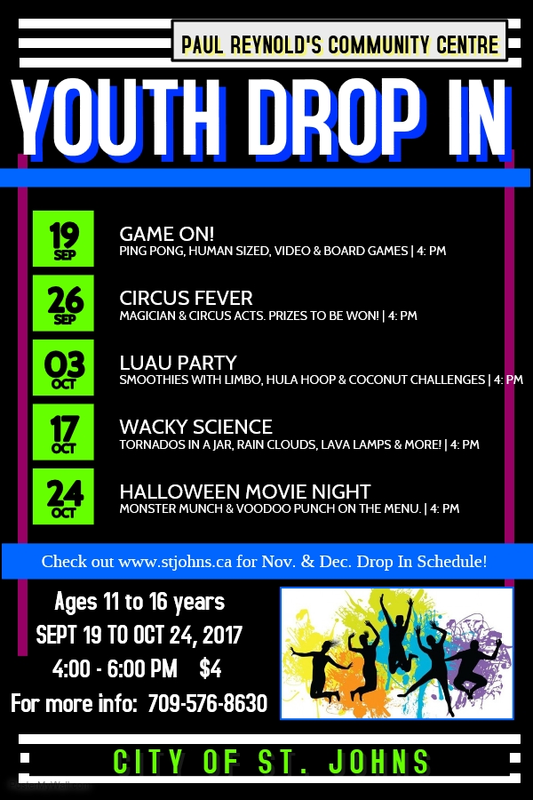 The Paul Reynold’s Community Centre is hosting Youth Drop In sessions on Tuesdays, starting September 19th. Times run from 4 to 6 pm, and the admission cost is $4.00. See the schedule below for more information, or call the Centre at (709) 576-8630.